This recipe is very easy to make. Chef Rikks Valles of Mida Food Distributors Inc. suggests using Pinot Noir and the best port wine you can find for the sauce. Just like the Cream Dory Tandoori with Raisin Couscous and Crab Cakes with Aioli Dill Sauce, this recipe for Pan-Grilled Chilean Sea bass with Port Wine Reduction was prepared for the “101 Ways with Seafood” demo over at The Maya Kitchen. Chilean Sea bass is available at the frozen section of the supermarket and directly from Mida Food Distributors,Inc. For orders and to learn more about their products, you can check out the catalog on their website. 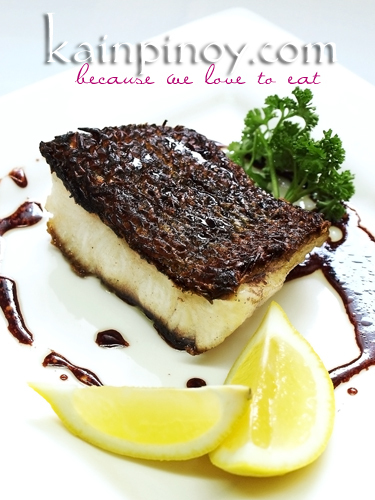 Tags: chilean sea bass recipes · mida food distrbutors inc · recipesNo Comments. It’s recipe time once again! This time I’m sharing a recipe for Cream dory, a fish that has become quite popular here in the last couple of years. 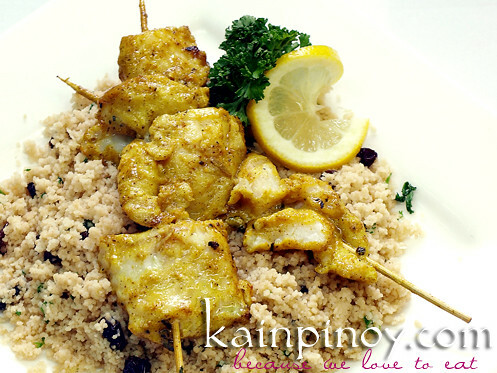 Cream Dory Tandoori with Raisin Couscous is a very flavorful dish that was also prepared by Chef “Rikks” Valles of Mida Food Distributors Inc, a direct importer and distributor of frozen seafood products. Here is the recipe. I hope you enjoy it! Tags: Cream Dory with Raisin Couscous · fish recipes · mida food distrbutors inc · recipes · tandoori recipesNo Comments. Since the Holy Week is almost upon us, I thought it would be a good idea to post some seafood recipes with everyone. 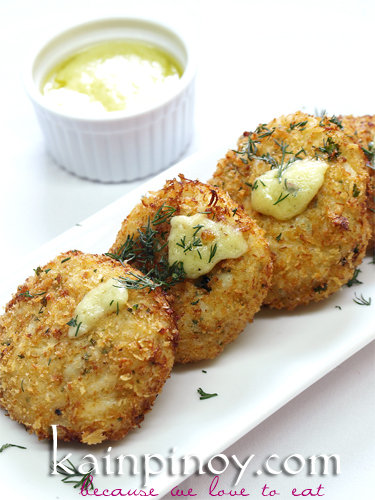 To start things off, I’d like to share this crab cake recipe by Chef Enrique Valles which he demonstrated during the “101 Ways with Seafood” cooking demo. Chef “Rikks”, as he is fondly called, is the chef of Mida Food Distributors Inc., a direct importer and distributor of frozen seafood products. This recipe comes to us courtesy of The Maya Kitchen. Enough babbling. Let’s get to the food! 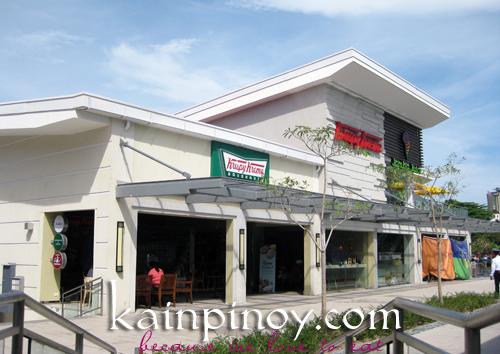 Just in time for it’s 75th birthday, Krispy Kreme recently opened it’s doors to patrons in Alabang Town Center. Located at The Street, the center’s new wing, the new Krispy Kreme store is the latest addition to the dynamic mix of retail and dining establishments in Corte delas Palmas and is nestled amidst other high-end food and clothing establishments. I got to attend the Asian Culinary Journey by Chef Alex Chong held recently at The Maya Kitchen. Chef Chong, who is the Executive Chef at The Heritage Hotel Manila, demonstrated some well loved dishes from the South East Asian region. 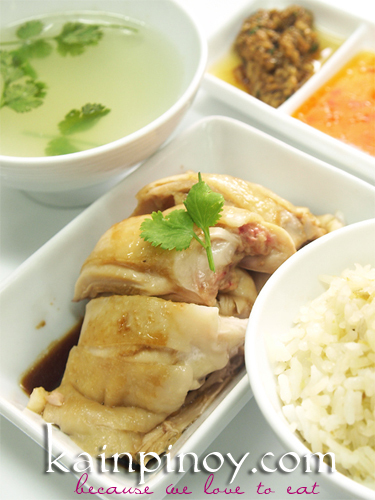 Among these is one of my favorites: Hainanese Chicken Rice. Here is the recipe that he kindly shared with us, which we’re sharing with so you can try out at home. Max’s Restaurant recently rolled out it’s Lenten offerings, infusing classic Filipino flavors into its new and lighter fare. 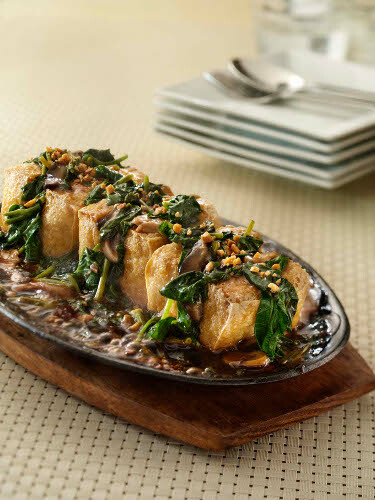 These are Adobong Kangkong Stuffed Tofu; Cauliflower Puffs and Sizzling Seafood in Honey Bagoong Sauce. Tags: max's lenten menu · max's restaurantNo Comments. I got news that Midnight Mercato is now open Wednesday nights, and never having been, we decided to check it out. There’s a big selection of grilled items from pork barbecue, isaw and other innards; as well as grilled fish and chicken. There were also stalls that sold burgers and fries, deep dish pizzas and something with lots of crispy bacon. Other stall had Ilocos empanada, chicharon, kebabs and fried chicken. Siomai, maki and takoyaki are also available. 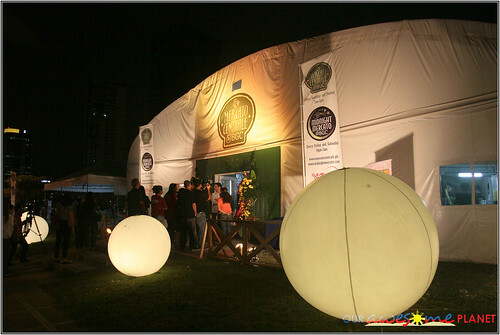 I also remember seeing paella, steaks and pasta being sold at other booths. One afternoon found myself and some friends over at Robot Bar & Lounge. Robot, short for Robotoyaki, is a Japanese restaurant and bar that offers a modern twist on Japanase cuisine. 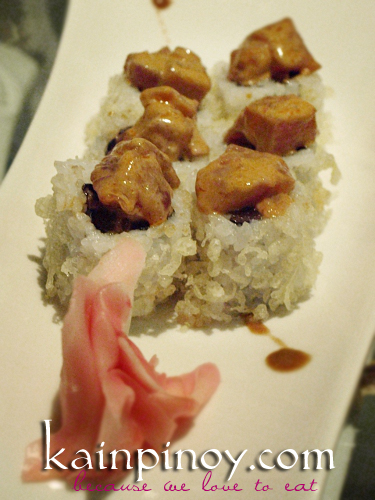 We chowed on some of their menu items like the Spicy Tuna Roll, which was very creamy and the heat is tolerable, which I like very much. My tolerance for spicy food isn’t really high. 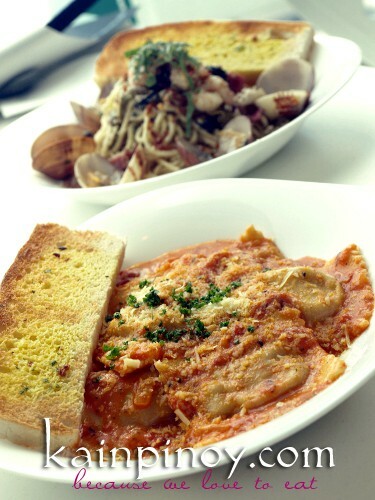 One of my favorite restaurants, Bistro Ravioli, opened two branches in the last twelve months. 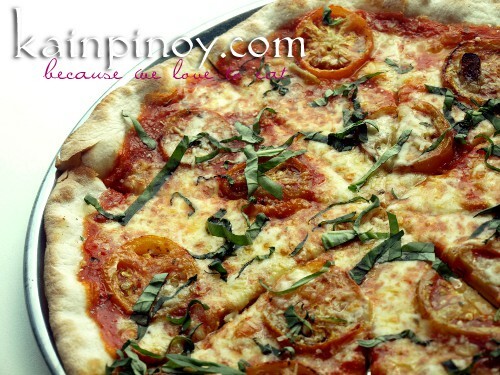 One is in Robinson’s Midtown Wing of Robinson’s Place in Ermita, and more recently, at Glorietta Mall in Makati City. Both branches offer the same delicious dishes that their Mall of Asia branch does, such as their fresh pasta dishes and pizzas baked in a brick oven. 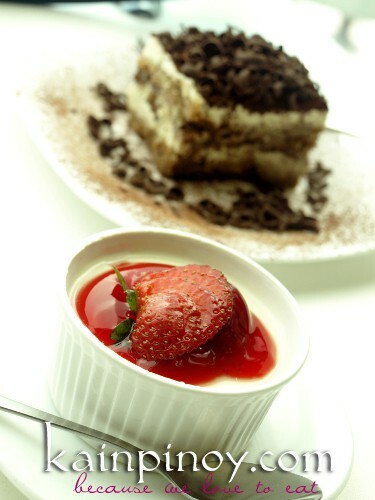 And let’s not forget dessert! If you’ve been wanting to try their offerings for some time now, but still haven’t, it’s certainly more easier to do so with two new branches in the metro. Here’s hoping that they’ll open another branch somewhere in the north. I finally tried it last night after watching The Green Lantern movie, and i I loved it. I loved it so much I had three in one sitting! 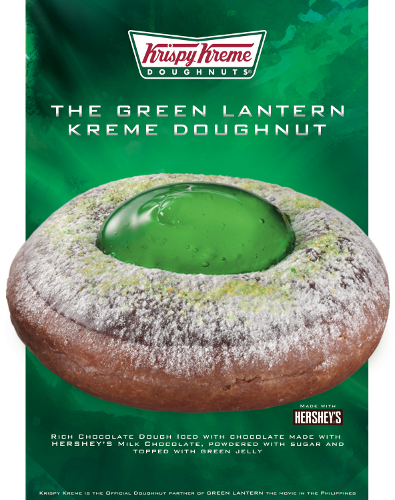 The Green Lantern Kreme Doughnut is Krispy Kreme’s version of the comic book classic made of rich chocolate dough, smothered with Hershey’s milk chocolate icing, doused with confectioner’s sugar and topped with a dollop of green jelly. Sounds good right? If you haven’t tried it yet, grab one or even a dozen, and get in on The Green Lantern craze. This limited edition doughnut is available only from June 3 to July 10.